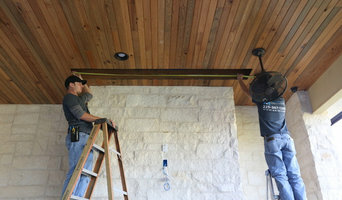 Advanced Audio Integration offers complete home theater, audio, lighting, and automation installation. We have trained technicians who can build your dream media center. 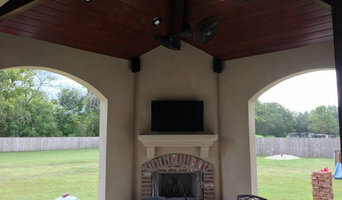 Wired Audio Video Solutions is a custom home audio/video integration company. We offer first class system design, home automation, distributed audio, structured wiring, pre-wiring, whole home networking and custom media rooms. By partnering with industry leading manufactures, WiredAVS brings cutting edge technology solutions to your project. With our extensive product line, we are able to make your dreams come true and within your budget. On Labor Day (September 1st) 2016 Mike's Audio will officially celebrate 32 Years as the #1 retailer for Home and Car Audio and Video in the Louisianan area! Mike's Audio is a locally owned and operated consumer electronics store located in Baton Rouge, La. We specialize in custom car audio /video technology and custom home audio / video technology. Mike's has been in business since 1984. We've always put our staff's training as a top priority and are proud to proclaim that we have the only electronic store in the Louisiana area to have certified installers and technicians for both the custom home audio and car stereo. We have won numerous awards and received several compliments for our outstanding work in both the home and car stereo fields and recently were recognized as one of the top ten specialty stereo dealers in the nation by Twice Magazine. We are located at 10505 Airline Hwy Baton Rouge Louisiana. Our hours of operation are 9am to 6pm Monday thru Saturday, with extended hours and open Sundays during Christmas (November and December).